This week’s podcast is something totally different. It’s not just different for our podcast, it’s different from any podcast you’ve ever heard. That’s because this week’s podcast was recorded for the friends and family of poker players. Coach Doug Hull brought this idea up to the Red Chip team, and everyone instantly realized how big of a need there was for a podcast like this. As poker players, we all have a challenging time explaining exactly what we’re doing sitting at the poker table for hours on end, and then spending countless more hours off-table studying. For our non-playing friends and family, it can be confusing or downright bewildering. Amidst all the stereotypes of poker, gambling and gaming in general, the truth can easily be overwhelmed by myth and misunderstanding. Anyone with a relationship to a poker player that doesn’t understand what poker is, we encourage you to stick around for this short primer. 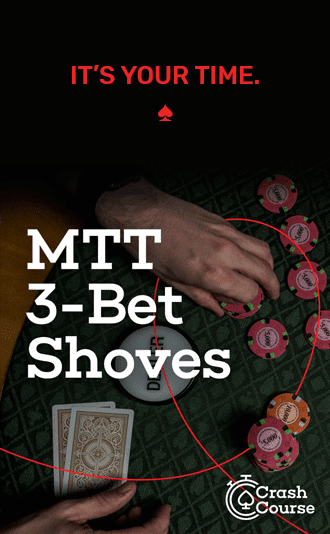 We guarantee you will leave with a deeper knowledge of exactly what your friend, family member or significant other is up to when they’re playing poker. And chances are, we’re about to shatter some myths. Can they really win at this? What are the expected ups and downs that a poker player’s going to go through. What are some of the traits of winners and losers? How should I treat them after a long session? Hull starts off by giving a little background info on why he’s qualified to speak to poker players’ loved ones on this topic. He’s a retired engineer who makes a living playing poker, coaching other players, writing books and recording strategy videos. He wouldn’t be doing all of that if it wasn’t possible to profit while playing poker! You probably realize that the “house always wins” at a casino. Every game there is designed to give a few wins here and there, but most people lose, and everyone loses if they play long enough. That is true of every game in the casino except one: Poker. “In poker there is a fundamental difference. You are not playing against the house,” Hull states emphatically. If you understand only one thing, understand that poker is not wagering against the “house” (the casino or card room). To be sure, it’s still rigged to profit the house, through something called a “rake” (we’ll get to that in a moment). Players are playing against each other, not against the casino itself. Hull relates a simple explanation for why the “house always wins” in gambling games that pit the player against the casino: You bet $10, the house flips a coin. Heads, you are paid $19.50. You win $9.50. Tails, you lose $10. It doesn’t take a mathematician to see that given enough time, every player loses in the end. This is true of any gambling game at a casino (besides poker). Some games have even worse odds and payouts. No matter whether the elements of chance are dice, cards, or graphics on a screen, gambling in a casino on anything but poker may be fun, but not at all profitable in the long term. The key thing to learn with these games, is that there are very few meaningful decisions to make. Pull a lever, spin a wheel — these take no skill or strategy whatsoever. And even in the games like blackjack, where an expert player can significantly reduce the casino’s edge, the casino nonetheless retains the advantage always. If you listen to the podcast, Hull explains it in terms of “drunk monkeys”. The house takes money out of the pot on each hand. Why does this matter? Because now you understand how the casino profits from poker. They don’t care who wins or loses. Players are essentially renting time at the table, and the fee is a small but significant percentage of each pot, or the total amount wagered in any hand that the players play. Again, this matters because you see that poker is not a game that players can lose vs. the house. The house always wins by charging players a fee for playing. Now you might begin to see how poker is actually a game that pits the minds of the players against one another, rather than a game of pure chance. “Beat the rake” is a simple concept: If every player is paying roughly $10/hr to sit at the poker table, the player needs to make at least that to break even on just sitting down to play. After you factor in rake and a few tips to dealers and waitstaff, the rest of your winnings are profit. Good decisions over time make you money. Good players don’t focus as much on wins and losses in individual sessions as they do on “win rate”, or their average money won over time. Win rate is akin to an hourly wage in poker. So, what’s an average win rate for a good poker player? Hull says $20/hr. is very good at the $1/$2 games your loved one is likely to be playing, perhaps more if they’re playing at a higher level. The important thing to realize here is that money for poker players come in all different amounts. A winning player is one that, on average, leaves the poker table with more money that they came to it with. 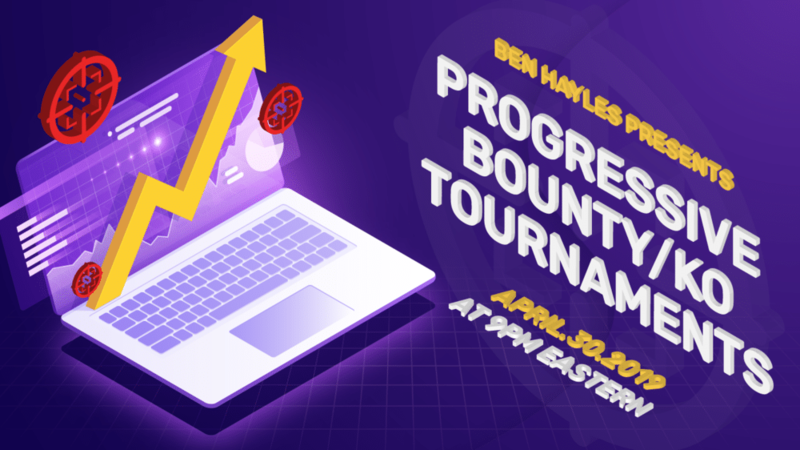 This means just as there will be windfall sessions where the player doubles or triples their buy-in, there will be plenty of small wins, break-even and even losing sessions. Doug figures about a 75% chance of winning for the really good players out there. That’s a sobering statistic for non-players. It’s the winning streaks and losing streaks that can break your heart. Losing $1,000 in a row is just as madness-inducing as the converse thrill of leaving with $2,000 from a really good session. The best players have the mental game to handle these ups and downs to come out with a great win rate over time. Hull says the #1 tell of a successful poker player is whether or not they keep records. This is a sure sign that you’re playing seriously. Losing players generally don’t keep records because they’d like to tell themselves they’re just unlucky. A good player will generally whip out an app demonstrating exactly how profitable they’ve been over the long term. Bankroll management is another sign of a winning player. These players keep their poker-playing money separate from their “life roll”, or the money they spend on bills and goodies. A player with good bankroll management always makes sure they have enough money set aside to absorb the inevitable swings of poker. Moreover, they don’t instantly spend money won, they add it to the bankroll to provide greater security against swings. As their bankroll builds, this will allow them to play games at higher and higher stakes. If you see your poker player has a bookshelf full of books, is subscribing to training sites and watching training videos, they are taking the game seriously, and is likely break-even to winning. The people who are losing at poker tend to not study the game, and that’s why they’re losing. They’re losing to people who are studying and putting in the time off-table to be better. Time spent playing does not translate into greatness at poker. It’s time studying and improving that makes the biggest difference in whether you’re a winner or loser. When a player comes home after a long session, “How did you do?” is probably at the bottom of the list of questions they want to hear. Any given session they can win and lose, whether they play perfectly or horribly. Over time, the good decisions will bring in more money, but asking how they did per session doesn’t matter. If you think your poker player is losing (if they’re not taking records and generally coming home angry from the poker room), you might want to first check out Gamblers Anonymous and get some help as soon as possible. If there’s a real problem there, it needs to be met head-on. Most losing players are recreational, but a small percentage have a real gambling problem. If you think your poker player is struggling, give your encouragement and support to fix the situation. Would be better for us to share if you cut the first 4 minutes off. I know of no ‘non-poker’ person (wife, friend, etc.) that will listen to 4 minutes of “intro”. Otherwise, nice! Thanks! This was really helpful. As a wife of a poker player, I appreciate knowing that all the time away from the table he is spending reading/listening to poker podcasts, is a good sign. I guess that should have been obvious, but it’s reassuring to hear from you none the less.